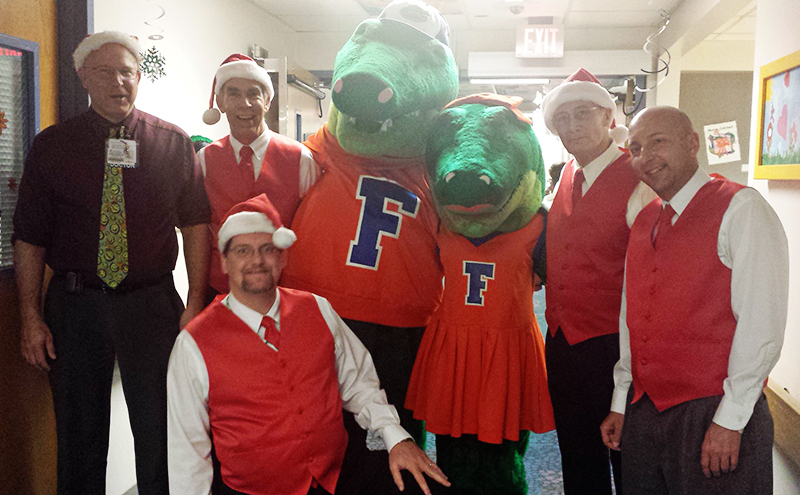 Several of our members are also staff or faculty at the University of Florida, including several with UF Health. We have physicians, research scientists, IT, and other staff. Because of this, we have a natural connection with Shands Children’s Hospital. 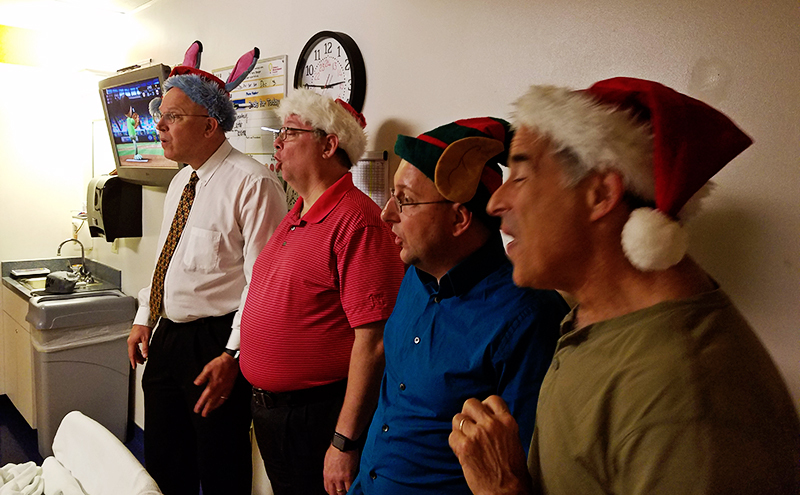 The chorus performs as part of the Arts in Medicine program, and we regularly entertain kids and families at monthly “Ice Cream Socials” on the pediatric wing. 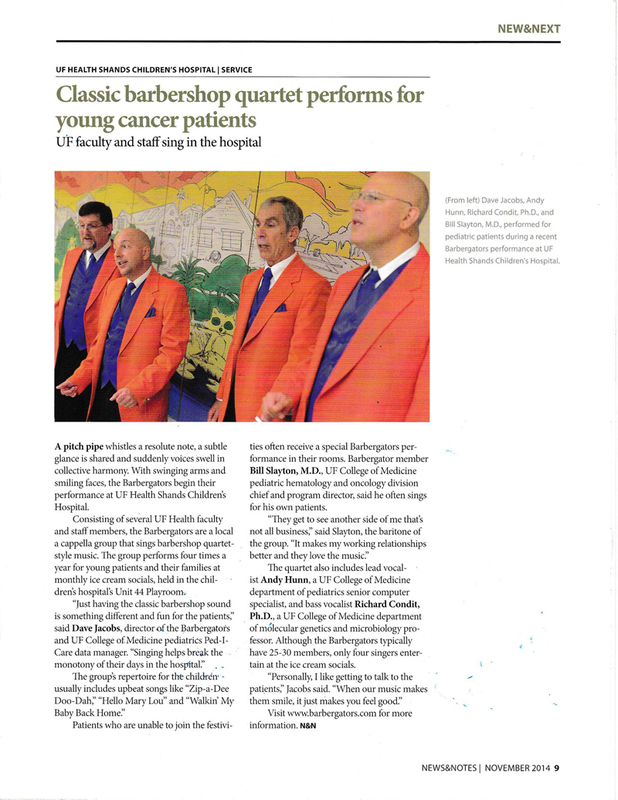 Led by Dr Bill, we often tour his patients rooms with him on baritone! Do you like to sing? Come sing with us! 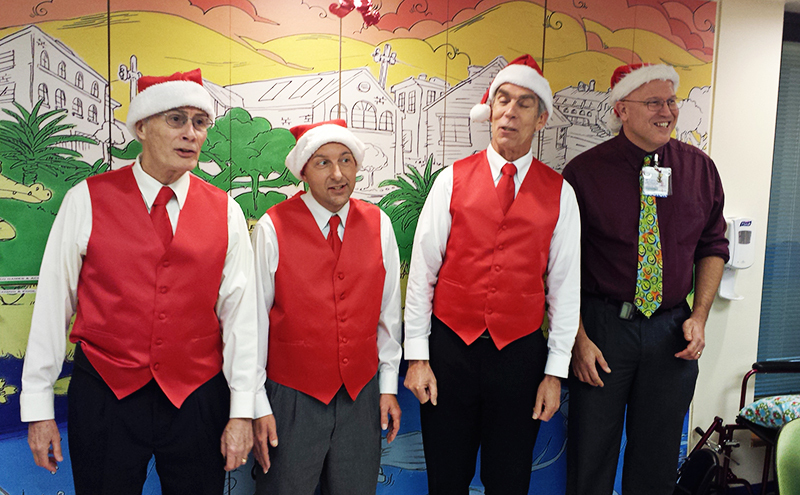 The Barbergators Chorus is a bunch of regular guys who like to sing. Some of us read music, some do not. But we all like to sing. We meet Tuesday nights, year round, at Grace Presbyterian Church, 3146 NW 13th St, Gainesville, FL 32609 at 7:00 pm.